Everyone has a dream career. It is usually a job that is out of arms reach; a pipe job so to speak. I am thinking superhero, dolphin trainer,or for the really ambitious, an ice cream taster. I however, have found the perfect dream job. One that is achievable. In fact it is more than a job, it is a business; a lifestyle choice. Copywriting is where it is at. Freelance copywriting is a career that can take you global, and a copywriting business costs little to set up. All you need are great writing skills, a good laptop and an open mind. This post will give some tips on how to go about writing for a living. A good copywriter has a good website. Obviously. There are lots of great options for setting up a site, with WordPress definitely worth a shout out. WordPress is fantastic for beginners, and if you are not particularly tech savvy, twoggle.com is a fantastic little business just waiting to help you with free WordPress blog set up, amongst other services. Squarespace is another wonderful option, but there is an annual cost. Inclusive however, is a free domain, so get thinking of your business name. Create a really strong logo. You need to be certain that you want to stick with this, so don’t be hasty in your decision. Also, make sure there is not another business entity by the same or similar name. While writers consider themselves artists, creativity alone doesn’t pay. Some business sense is a necessity to succeed, particularly in the freelance industry, where pay-checks can be sporadic. Be your own boss as a franchise owner to find you; go hustle! The beauty of freelance writing is that a lot of your business can sought online from the comfort of your living room. Simply start with google search, trying sites such as Gumtree or Uptasker. These are great places to pick up some ad hoc work, and if you do a good job, it could mark the start of ongoing work.Create some business cards and distribute wherever you can. Network through various mediums, such as Linkedin and local business events. Above all, do not be scared to self promote. Believing that you ARE a freelance writer is paramount in ensuring that everyone else thinks the same. Change your job title on Facebook. Ensure you blog and share your articles. Creating a buzz about yourself and your ability further adds weight to your credibility in your new career. People will begin to think of you as their go to guy (or gal) for any content writing requirements. Above all else, never underestimate the power of word of mouth. Social media is a powerful vehicle for communication and with people averaging about 300 connections, the possibilities of seeking business through(social media) pleasure is incredible. Practice, practice, practice. Always write. Never take a break. Well, slight exaggeration perhaps, but make sure that you write regularly. It is important to create some sort of routine. Of course, this is difficult as the allure of freelancing is pure freedom, but complacency does not generate income. That is why it is so important to be disciplined. If you do not have any jobs on, it is still important to hone your craft. Remember, once upon a time you wrote for the sheer love of it. Be reliable. Ensure that you complete your clients order on time. Missing deadlines will mean missing clients eventually. This for me is a difficult one as the hippy within sometimes lets time and nature take over responsibility, but it is definitely an important point to be worked on, if you want to be successful in the freelancing world. Copywriting takes on a number of guises. Be confident and sure as to what area you want to specialise in. Are you offering a business blogging service? Are you a dab hand at press releases? Don’t over, or under sell yourself. Make sure you stick to what you are good at, and go hard. Oh, and most importantly, make sure that lovely website we talked about at the beginning is full of your works. 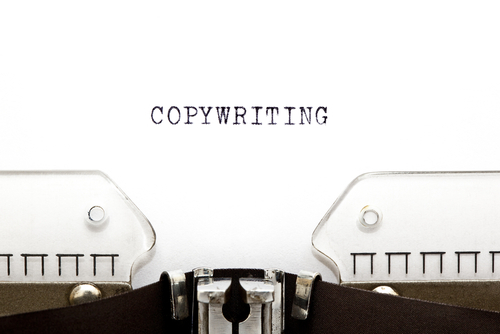 So you have taken the advice and become a freelance copywriter? Perhaps now you are wondering what is next? Try not to overthink things and enjoy your today. This wonderful blissful freedom might not last. Freelance copywriting is a risky business to get into, so enjoy it while you can. Did I mention I am writing this from a beach bar on a remote island in Thailand? Oh, well now you know.